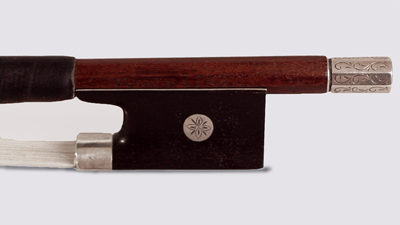 Violin Bow, stamped Voirin, made in Paris, France, pernambuco, full lined silver frog hand engraved. Overall length is 29 in. (73.7 cm.). Excellent Condition.